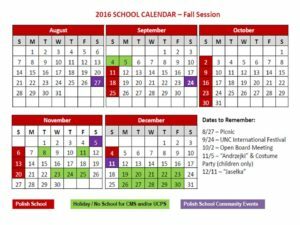 Here is the draft version of the calendar for Fall 2016 semester (PDF). We would like to share with you a very exciting news… Beginning September 7, 2014, Polish School of Charlotte will be offering Polish language lessons for adults! Our teacher has been teaching both Polish and English for a number of years in Poland and in the U.S. Please see this page for more information about Classes for Adults. 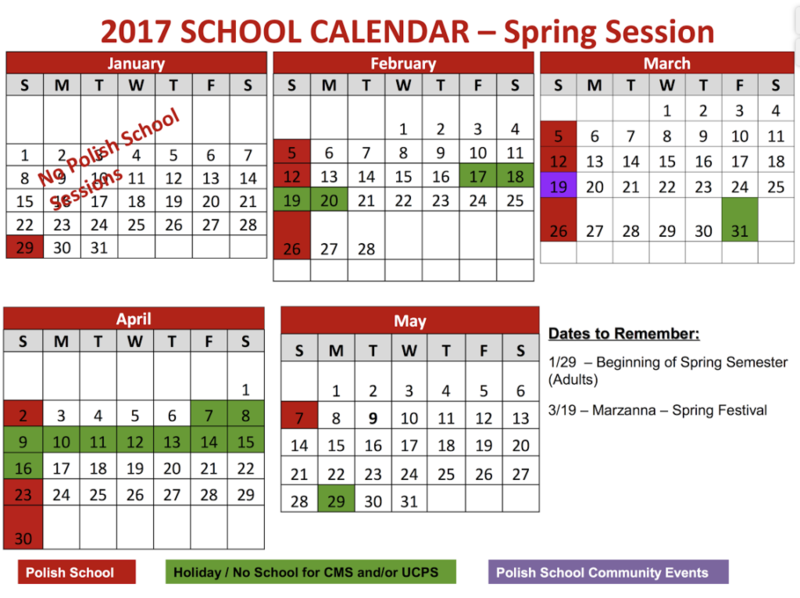 Please email us at info@polishschoolofcharlotte.org with questions.